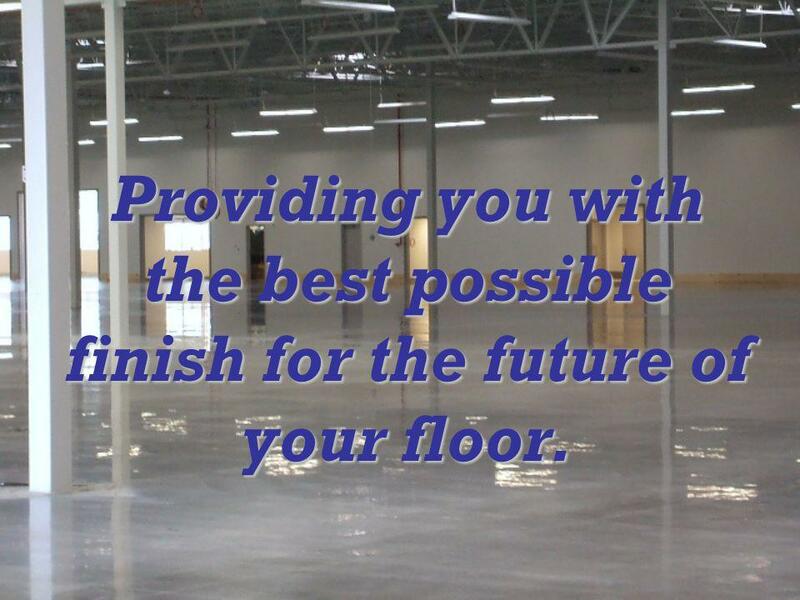 Providing you with the best possible finish for the future of your floor. 2 Providing you with the best possible finish for the future of your floor. 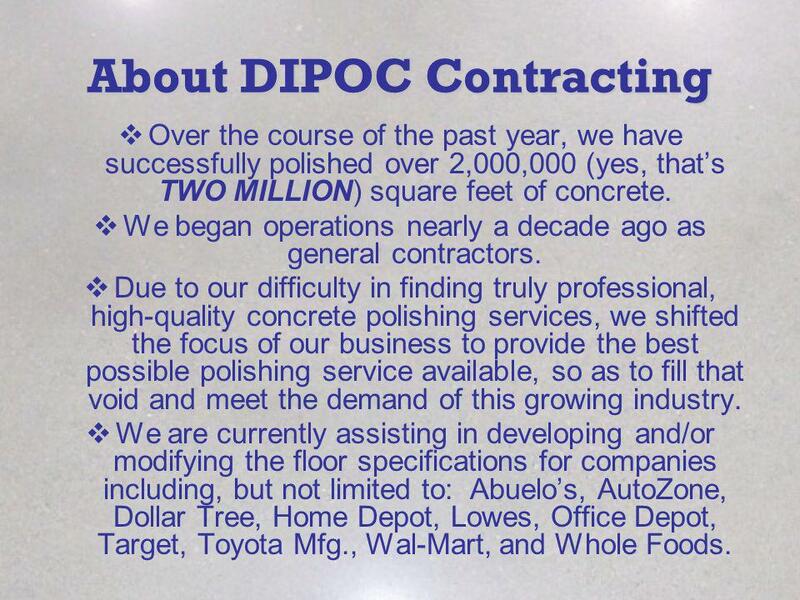 3 About DIPOC Contracting Over the course of the past year, we have successfully polished over 2,000,000 (yes, thats TWO MILLION) square feet of concrete. 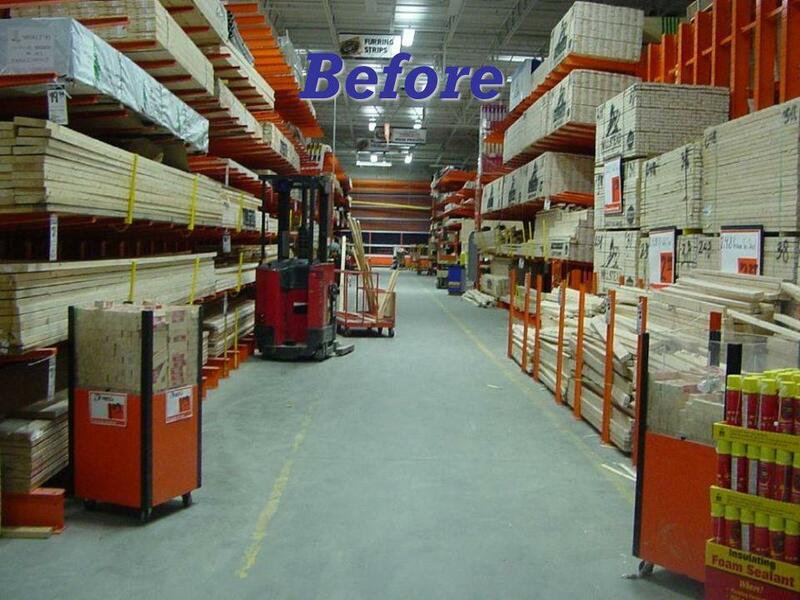 We began operations nearly a decade ago as general contractors. Due to our difficulty in finding truly professional, high-quality concrete polishing services, we shifted the focus of our business to provide the best possible polishing service available, so as to fill that void and meet the demand of this growing industry. 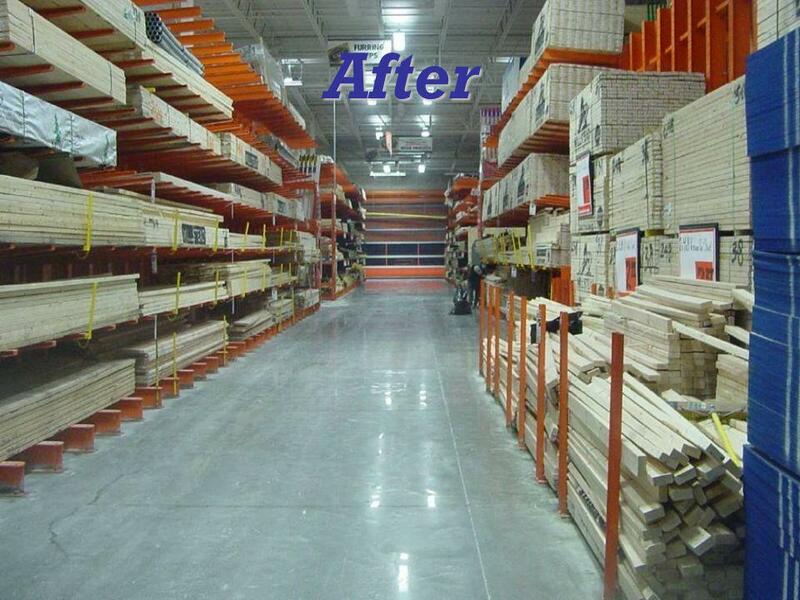 We are currently assisting in developing and/or modifying the floor specifications for companies including, but not limited to: Abuelos, AutoZone, Dollar Tree, Home Depot, Lowes, Office Depot, Target, Toyota Mfg., Wal-Mart, and Whole Foods. 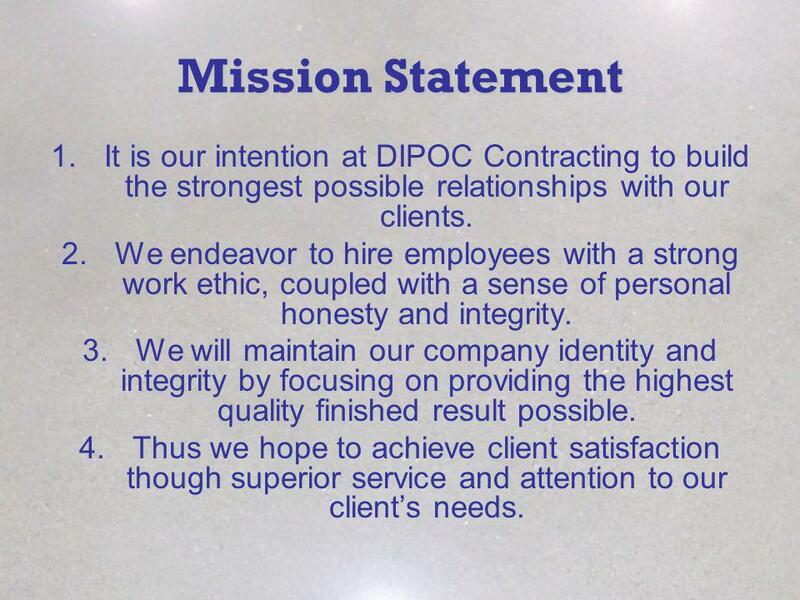 4 Mission Statement 1.It is our intention at DIPOC Contracting to build the strongest possible relationships with our clients. 2.We endeavor to hire employees with a strong work ethic, coupled with a sense of personal honesty and integrity. 3.We will maintain our company identity and integrity by focusing on providing the highest quality finished result possible. 4.Thus we hope to achieve client satisfaction though superior service and attention to our clients needs. 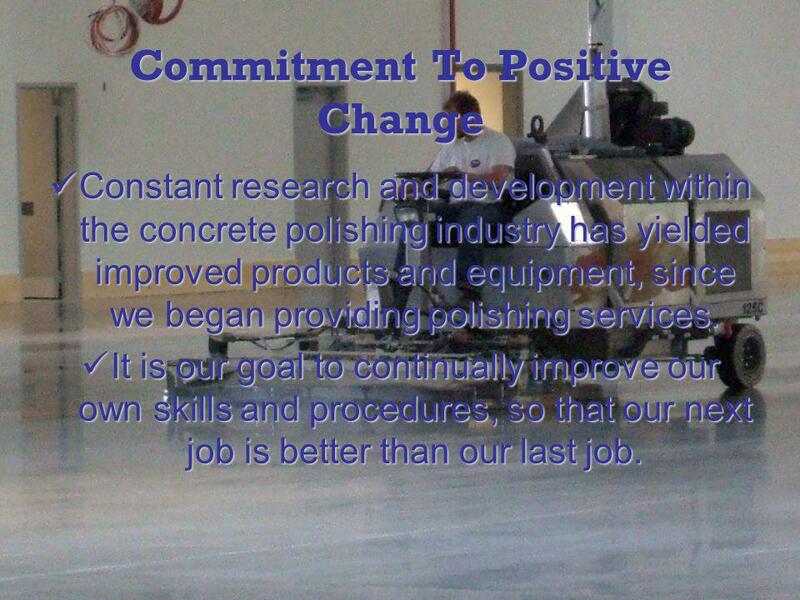 5 Commitment To Positive Change Constant research and development within the concrete polishing industry has yielded improved products and equipment, since we began providing polishing services. Constant research and development within the concrete polishing industry has yielded improved products and equipment, since we began providing polishing services. It is our goal to continually improve our own skills and procedures, so that our next job is better than our last job. It is our goal to continually improve our own skills and procedures, so that our next job is better than our last job. 6 Benefits & Safety Our floor, properly maintained, does not require waxing or resurfacing. Our methods and products are OSHA and USDA approved. There are no volatile organic compounds (VOCs) created during application or cleaning. 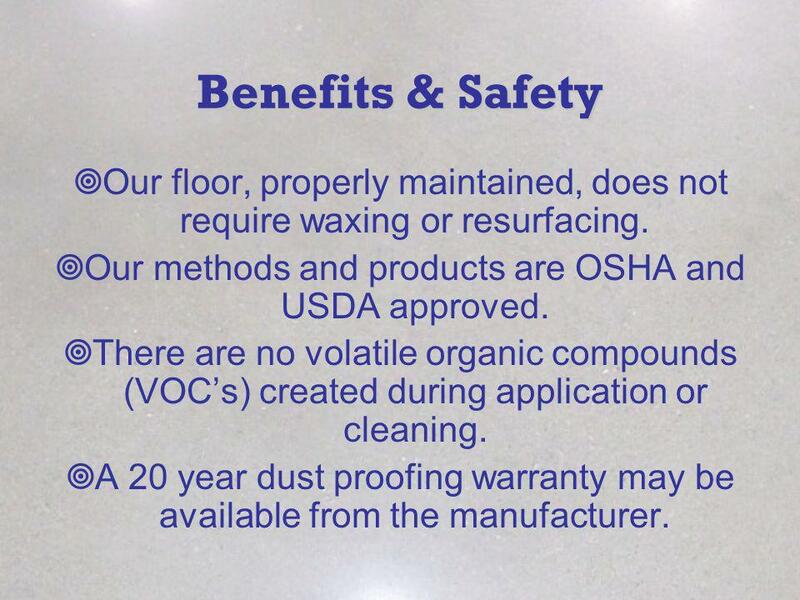 A 20 year dust proofing warranty may be available from the manufacturer. 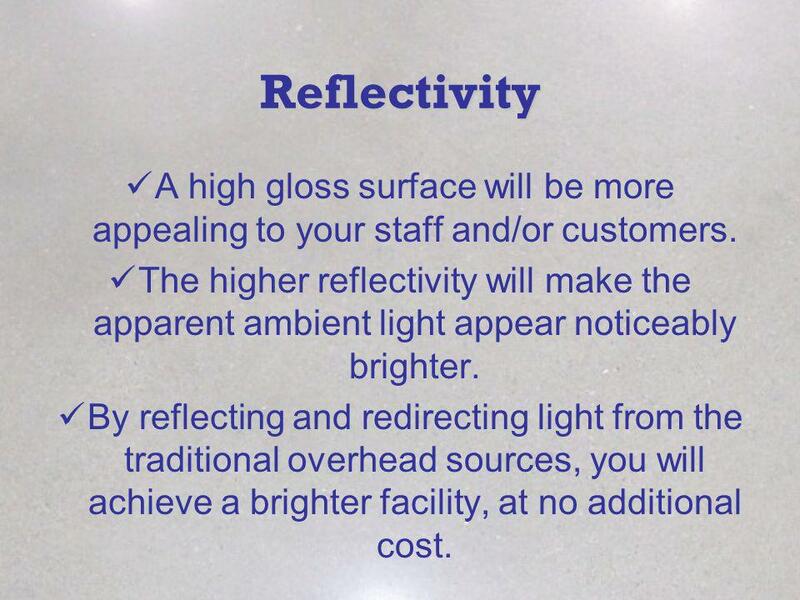 7 Reflectivity A high gloss surface will be more appealing to your staff and/or customers. The higher reflectivity will make the apparent ambient light appear noticeably brighter. By reflecting and redirecting light from the traditional overhead sources, you will achieve a brighter facility, at no additional cost. 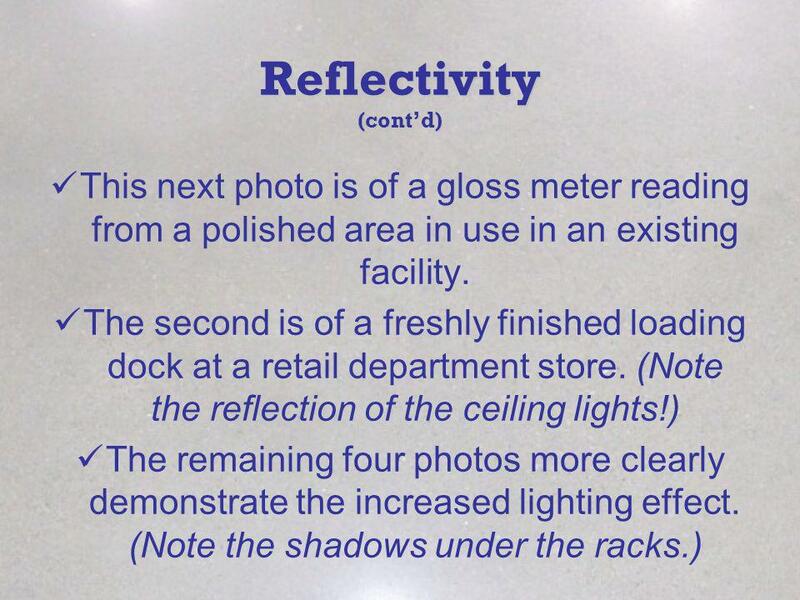 8 Reflectivity (contd) You may even lower your current lighting costs, if you are able to adjust the wattage of your existing lighting sources. 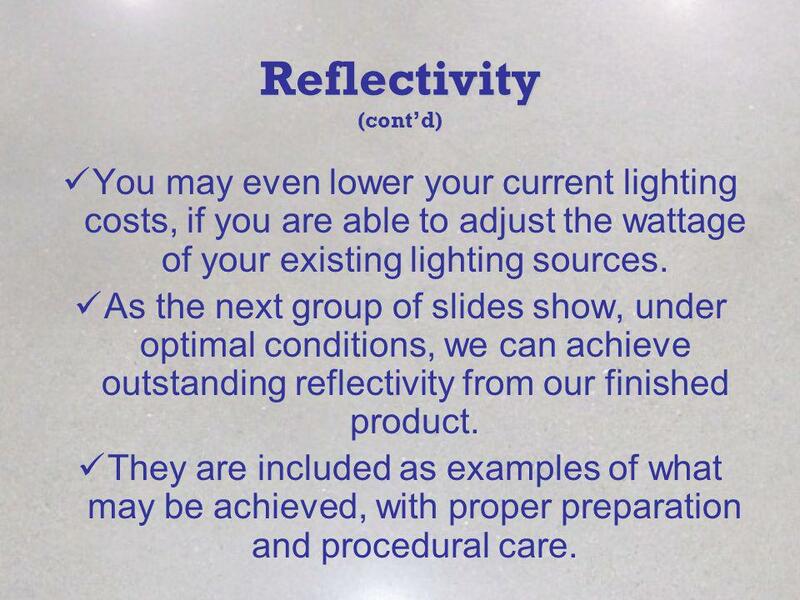 As the next group of slides show, under optimal conditions, we can achieve outstanding reflectivity from our finished product. They are included as examples of what may be achieved, with proper preparation and procedural care. 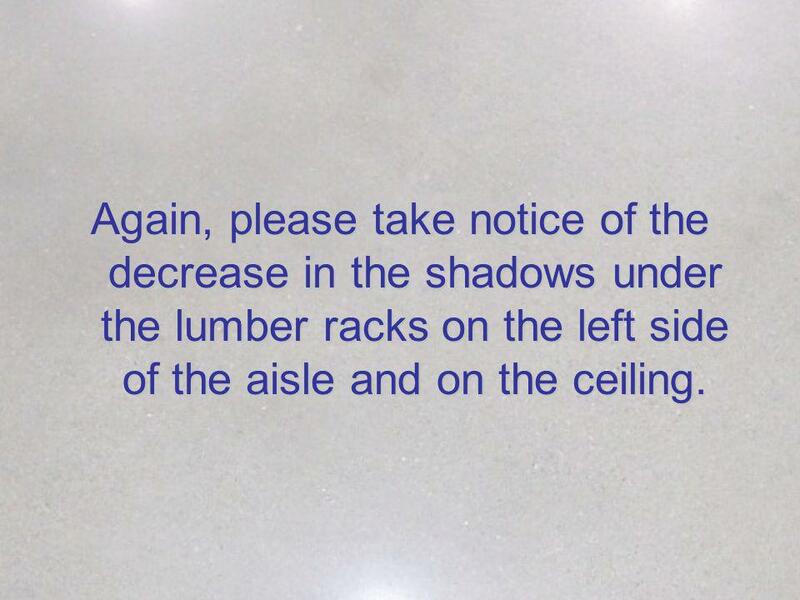 14 Again, please take notice of the decrease in the shadows under the lumber racks on the left side of the aisle and on the ceiling. 17 Maintenance and Cleaning We will gladly assist in determining the proper maintenance system for your finished floor. Floor mats at all entries and exits are highly recommended, so as to reduce the amount of outside dirt transferred onto the floor. 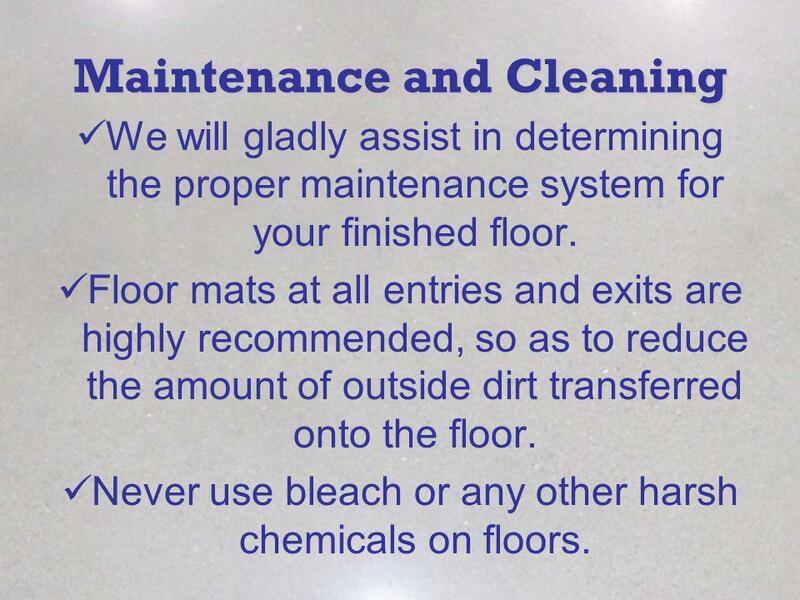 Never use bleach or any other harsh chemicals on floors. 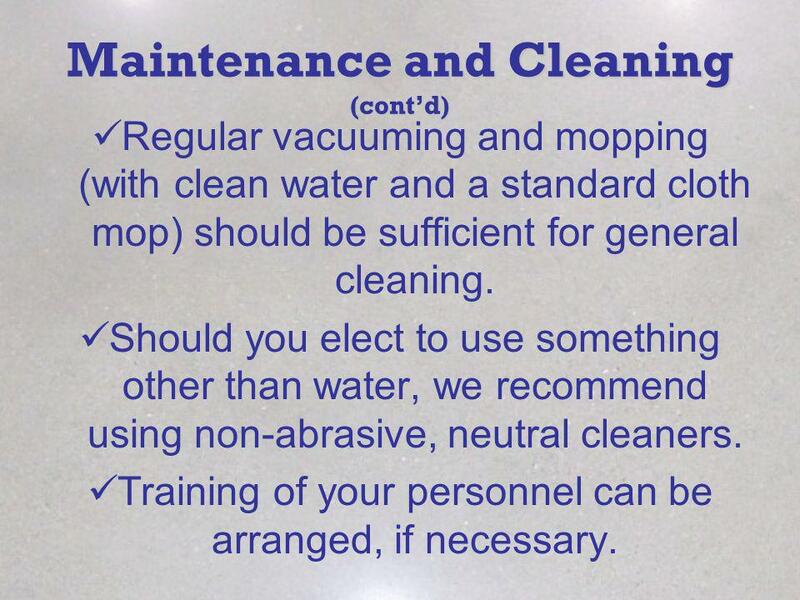 18 Maintenance and Cleaning (contd) Regular vacuuming and mopping (with clean water and a standard cloth mop) should be sufficient for general cleaning. Should you elect to use something other than water, we recommend using non-abrasive, neutral cleaners. Training of your personnel can be arranged, if necessary. 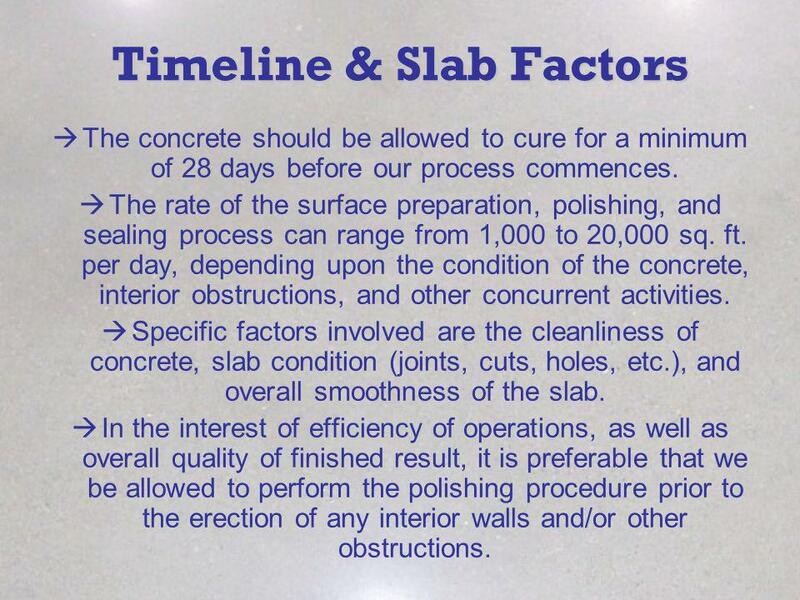 19 Timeline & Slab Factors The concrete should be allowed to cure for a minimum of 28 days before our process commences. The rate of the surface preparation, polishing, and sealing process can range from 1,000 to 20,000 sq. ft. per day, depending upon the condition of the concrete, interior obstructions, and other concurrent activities. 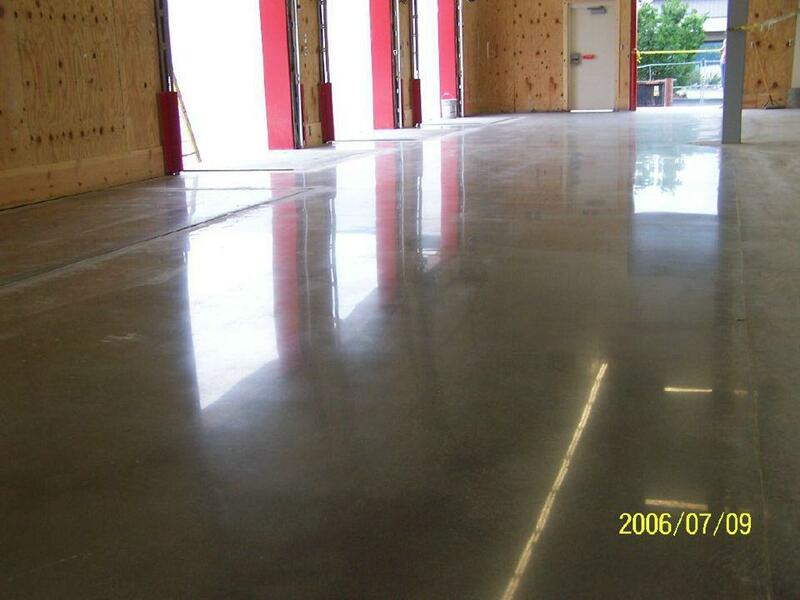 Specific factors involved are the cleanliness of concrete, slab condition (joints, cuts, holes, etc. ), and overall smoothness of the slab. In the interest of efficiency of operations, as well as overall quality of finished result, it is preferable that we be allowed to perform the polishing procedure prior to the erection of any interior walls and/or other obstructions. 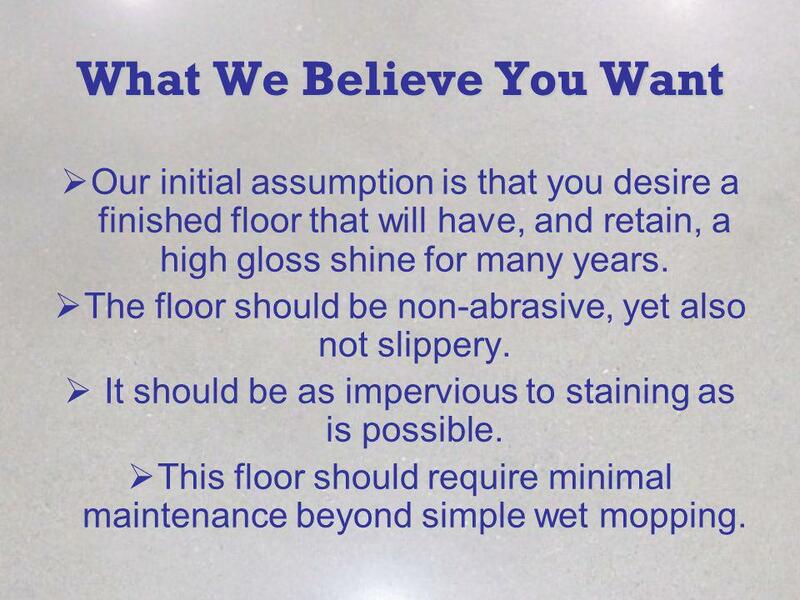 20 What We Believe You Want Our initial assumption is that you desire a finished floor that will have, and retain, a high gloss shine for many years. The floor should be non-abrasive, yet also not slippery. It should be as impervious to staining as is possible. This floor should require minimal maintenance beyond simple wet mopping. 21 What We Can Do For You We have considered your wants, needs, and expectations very carefully. We understand that there are numerous factors to be considered on your end (timing & budget, for example). 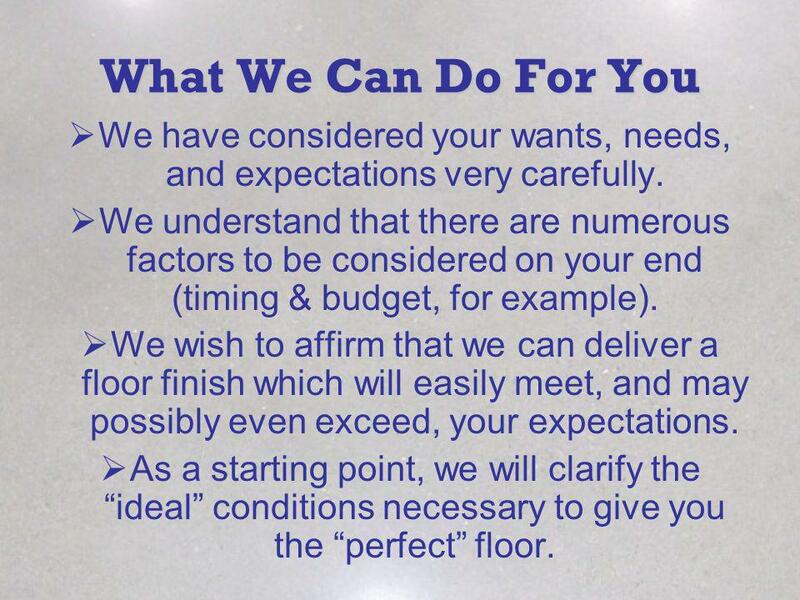 We wish to affirm that we can deliver a floor finish which will easily meet, and may possibly even exceed, your expectations. As a starting point, we will clarify the ideal conditions necessary to give you the perfect floor. 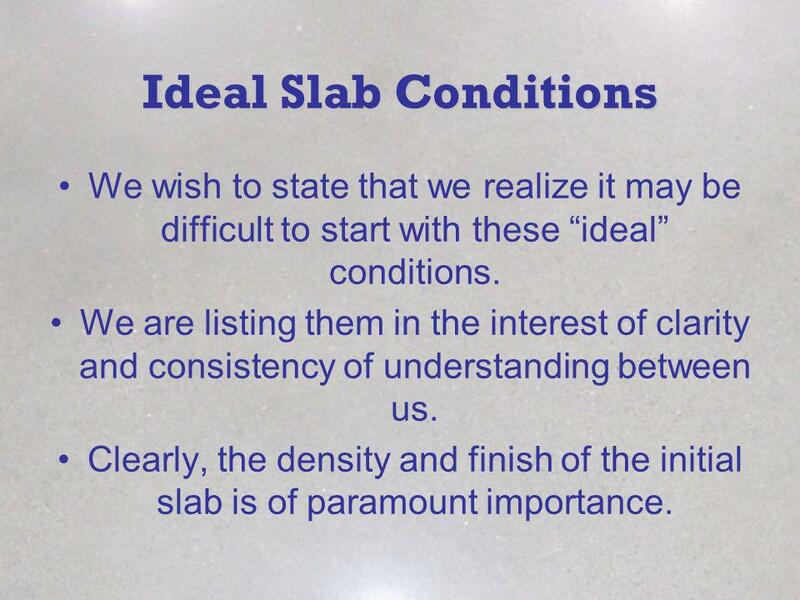 22 Ideal Slab Conditions We wish to state that we realize it may be difficult to start with these ideal conditions. We are listing them in the interest of clarity and consistency of understanding between us. Clearly, the density and finish of the initial slab is of paramount importance. 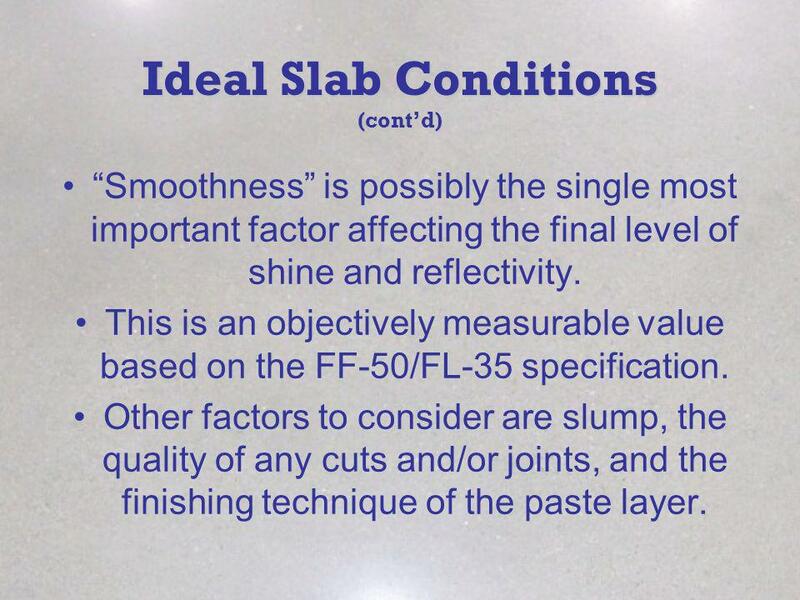 23 Ideal Slab Conditions (contd) Smoothness is possibly the single most important factor affecting the final level of shine and reflectivity. 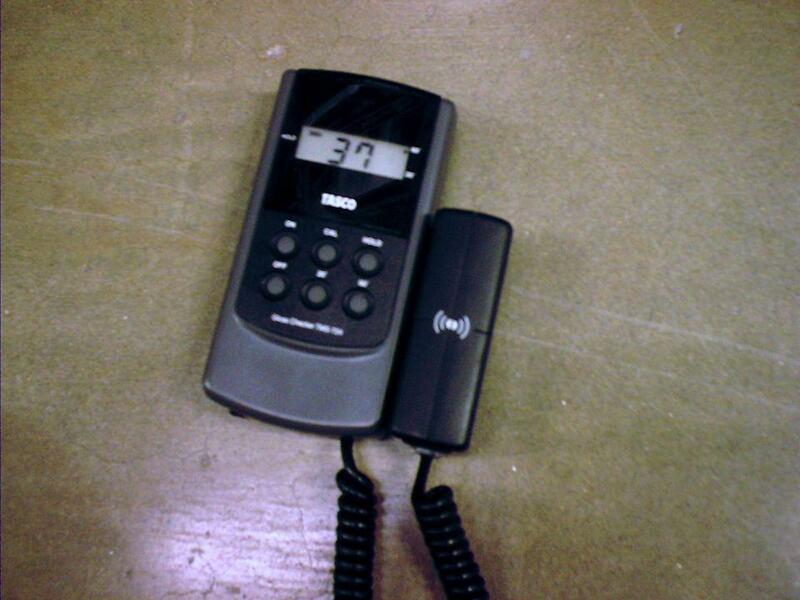 This is an objectively measurable value based on the FF-50/FL-35 specification. Other factors to consider are slump, the quality of any cuts and/or joints, and the finishing technique of the paste layer. 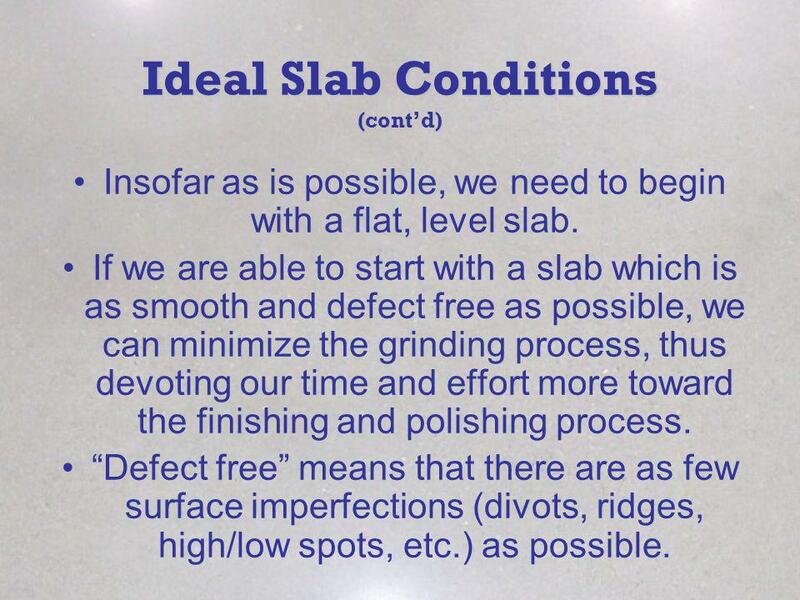 24 Ideal Slab Conditions (contd) Insofar as is possible, we need to begin with a flat, level slab. 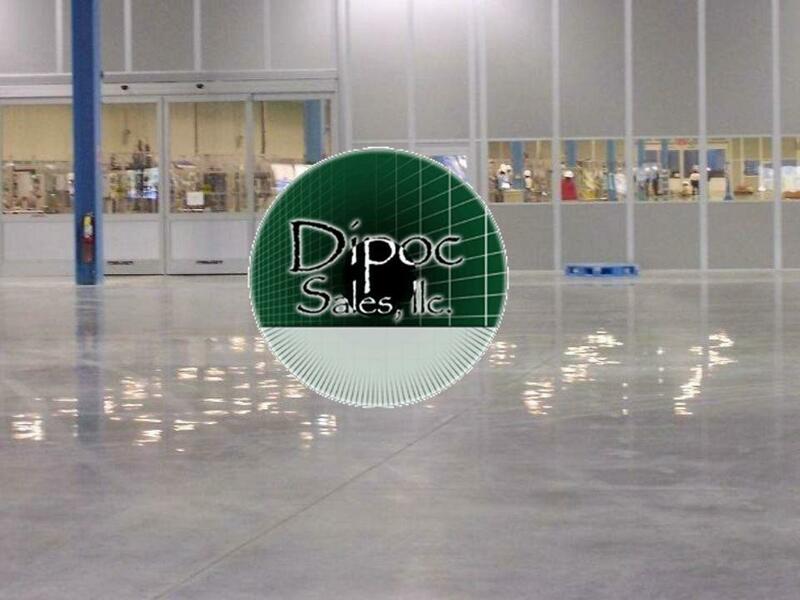 If we are able to start with a slab which is as smooth and defect free as possible, we can minimize the grinding process, thus devoting our time and effort more toward the finishing and polishing process. Defect free means that there are as few surface imperfections (divots, ridges, high/low spots, etc.) as possible. 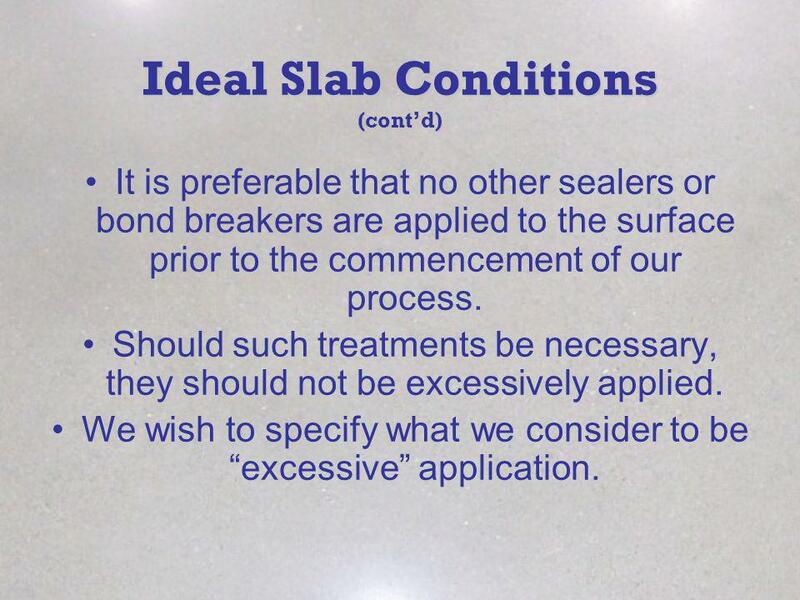 25 Ideal Slab Conditions (contd) It is preferable that no other sealers or bond breakers are applied to the surface prior to the commencement of our process. Should such treatments be necessary, they should not be excessively applied. We wish to specify what we consider to be excessive application. 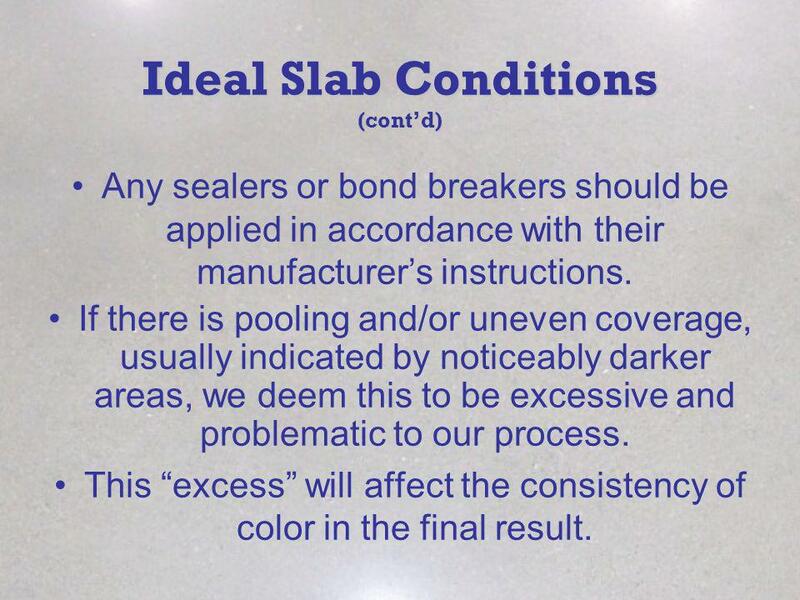 26 Ideal Slab Conditions (contd) Any sealers or bond breakers should be applied in accordance with their manufacturers instructions. If there is pooling and/or uneven coverage, usually indicated by noticeably darker areas, we deem this to be excessive and problematic to our process. This excess will affect the consistency of color in the final result. 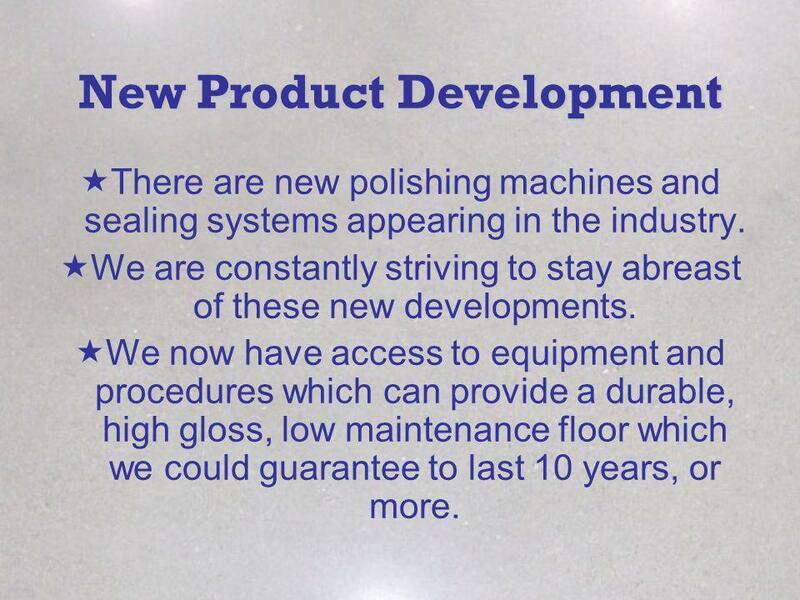 27 New Product Development There are new polishing machines and sealing systems appearing in the industry. We are constantly striving to stay abreast of these new developments. We now have access to equipment and procedures which can provide a durable, high gloss, low maintenance floor which we could guarantee to last 10 years, or more. 28 Technological Evaluation of Concrete Polishing Grinding & polishing conditions the hardest, most abrasion resistant, part of concrete – the surface. This surface will then be hardened & enhanced through a chemical densification process. 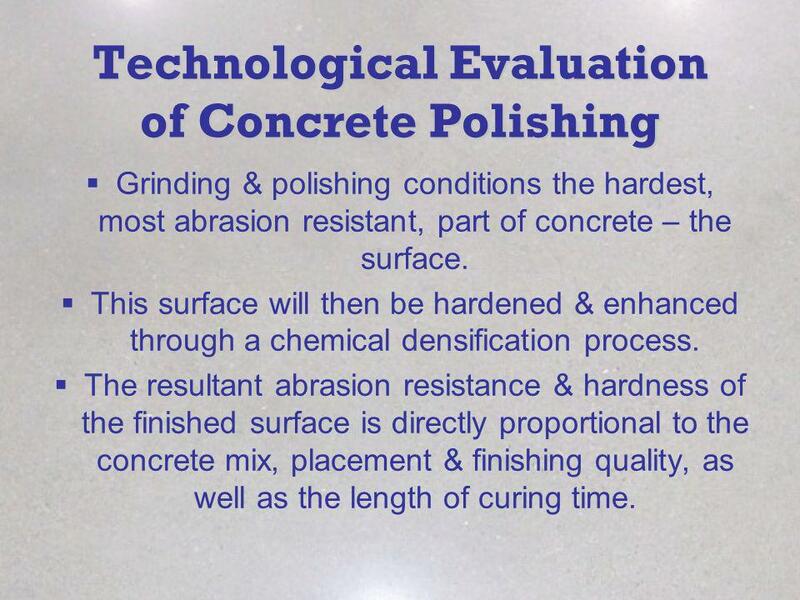 The resultant abrasion resistance & hardness of the finished surface is directly proportional to the concrete mix, placement & finishing quality, as well as the length of curing time. 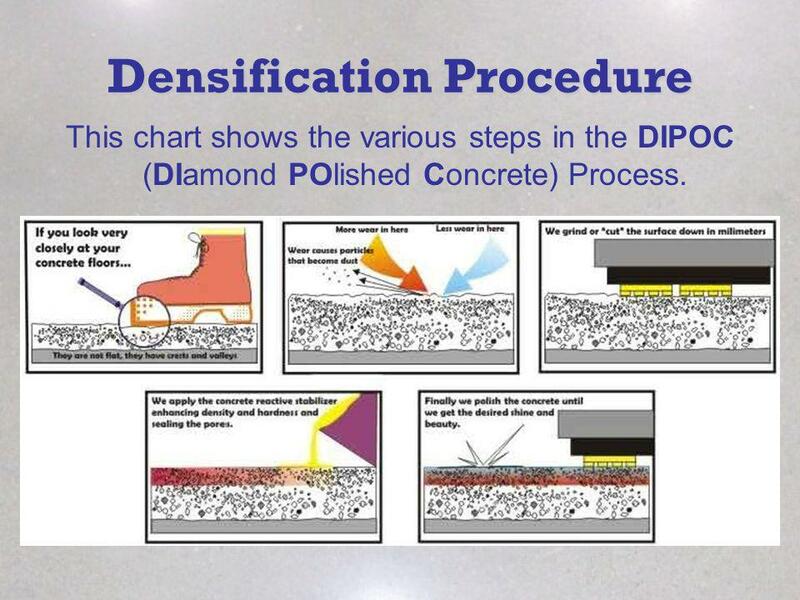 29 Densification Procedure This chart shows the various steps in the DIPOC (DIamond POlished Concrete) Process. 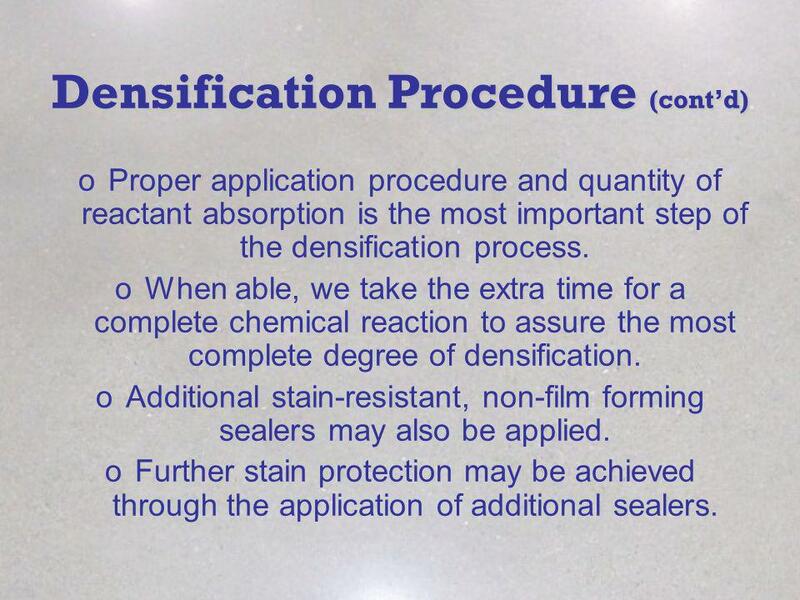 30 Densification Procedure (contd) oProper application procedure and quantity of reactant absorption is the most important step of the densification process. oWhen able, we take the extra time for a complete chemical reaction to assure the most complete degree of densification. 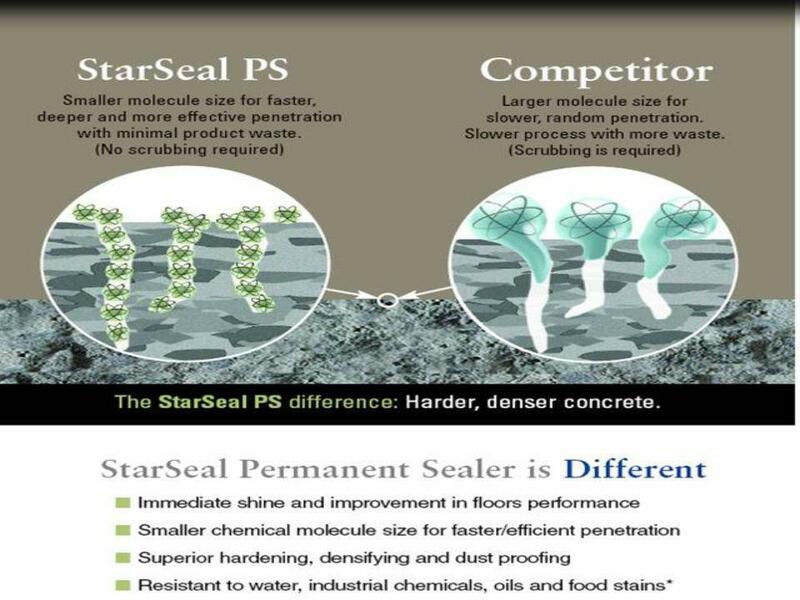 oAdditional stain-resistant, non-film forming sealers may also be applied. oFurther stain protection may be achieved through the application of additional sealers. 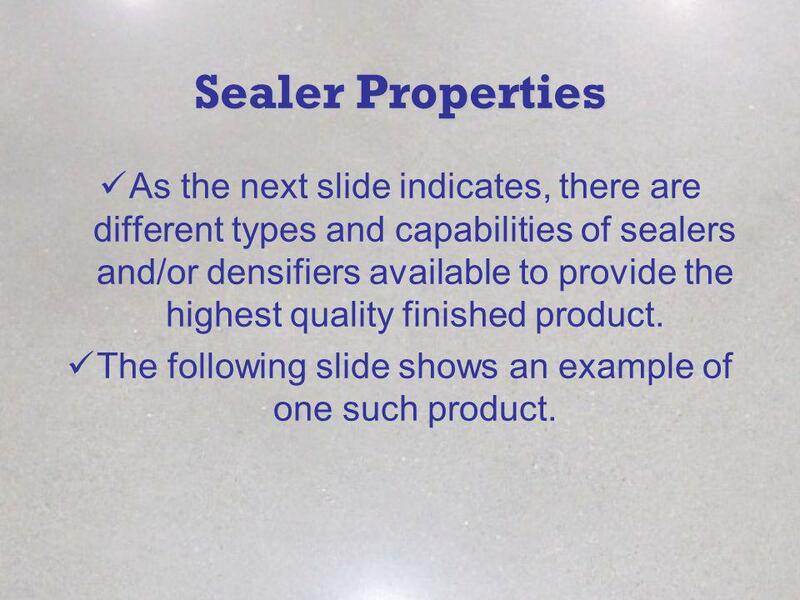 31 Sealer Properties As the next slide indicates, there are different types and capabilities of sealers and/or densifiers available to provide the highest quality finished product. The following slide shows an example of one such product. 33 Idealistic Versus Realistic We believe that we understand what your desired and expected result is for your finished floor. We have enumerated and detailed the factors involved in delivering to you that result. 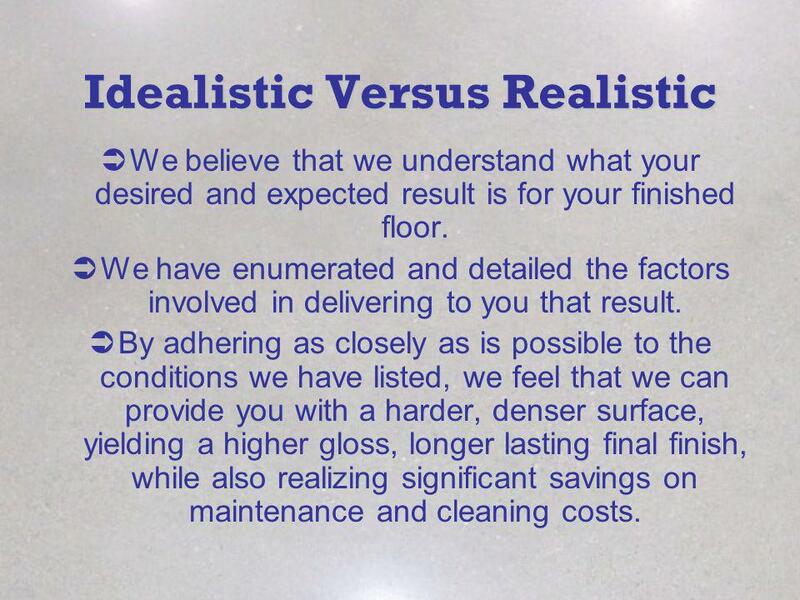 By adhering as closely as is possible to the conditions we have listed, we feel that we can provide you with a harder, denser surface, yielding a higher gloss, longer lasting final finish, while also realizing significant savings on maintenance and cleaning costs. 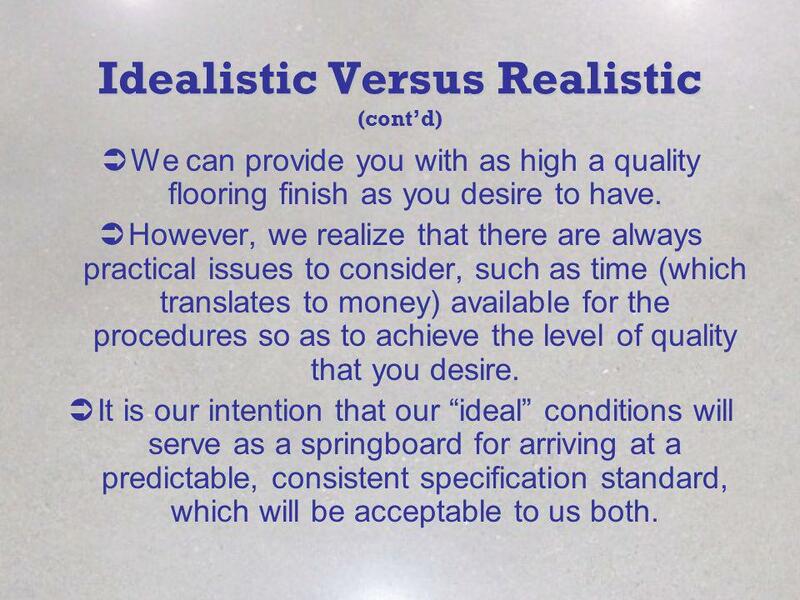 34 Idealistic Versus Realistic (contd) We can provide you with as high a quality flooring finish as you desire to have. However, we realize that there are always practical issues to consider, such as time (which translates to money) available for the procedures so as to achieve the level of quality that you desire. It is our intention that our ideal conditions will serve as a springboard for arriving at a predictable, consistent specification standard, which will be acceptable to us both. 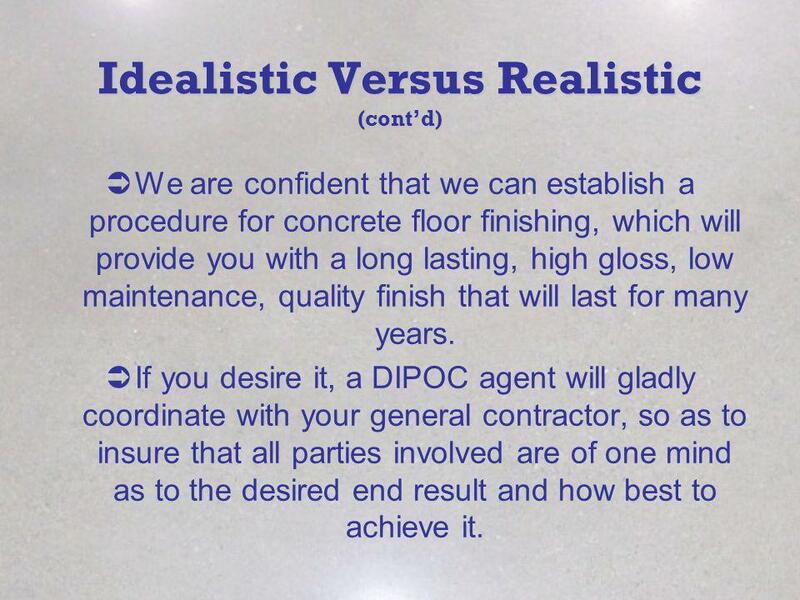 35 Idealistic Versus Realistic (contd) We are confident that we can establish a procedure for concrete floor finishing, which will provide you with a long lasting, high gloss, low maintenance, quality finish that will last for many years. If you desire it, a DIPOC agent will gladly coordinate with your general contractor, so as to insure that all parties involved are of one mind as to the desired end result and how best to achieve it. 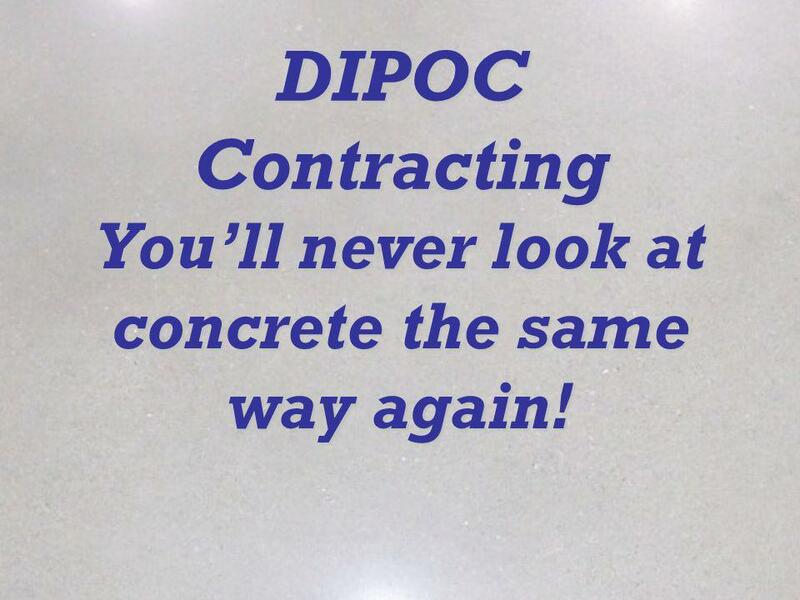 36 DIPOC Contracting Youll never look at concrete the same way again! 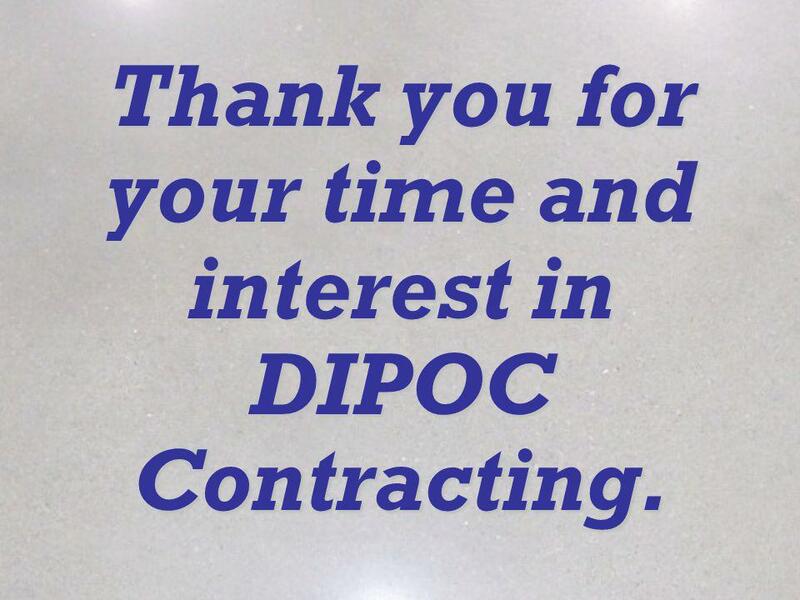 37 Thank you for your time and interest in DIPOC Contracting. 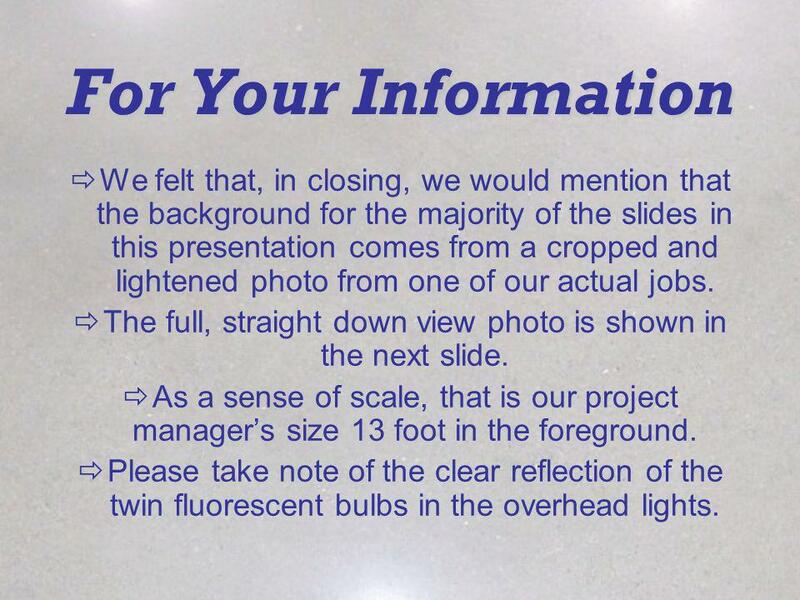 38 For Your Information We felt that, in closing, we would mention that the background for the majority of the slides in this presentation comes from a cropped and lightened photo from one of our actual jobs. The full, straight down view photo is shown in the next slide. As a sense of scale, that is our project managers size 13 foot in the foreground. Please take note of the clear reflection of the twin fluorescent bulbs in the overhead lights. Download ppt "Providing you with the best possible finish for the future of your floor." Corporate Brochure. We are professional manufacture and supplier of building products focusing mainly on masonry related products. We are committed. CUSTOMER SERVICE. Customer service is a series of activities designed to enhance the level of customer satisfaction – that is, the feeling that a product. Contracting for Service. OUTLINE Background on Carleton University Cleaning Services Campus Bookstore Capital Program/Project Management Facility Operations. Choice of Color Part 4 U.S. Department of the Interior Bureau of Land Management June 2007. 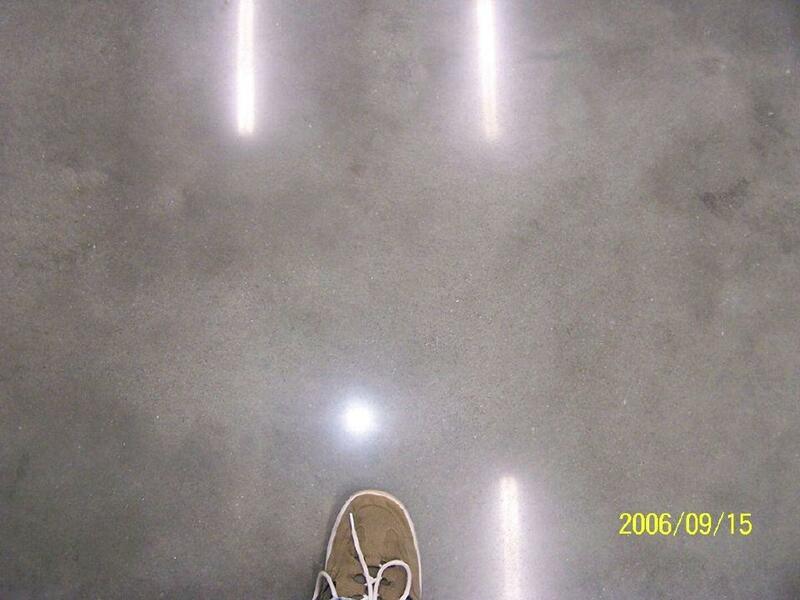 Polymer Floor & Wall Coatings: Selection, Preparation, Installation and Troubleshooting. Cabot Factory Finish Product Training What are paints and stains made of ? Binders Pigments Additives Resins Solvents. THE GREEN POWER FOR YOUR SURFACES. A Luxembourg based company specialized in treatment and protection of surfaces.  Creates an invisible traction that helps reduce slip & fall accidents.  Designed to enhance the natural grip/traction on slippery. Accent and Architectural Stone Fabrication and Installation The custom cut stone process has several stages: 1.Cut ticket 2.Quarry Block/Boulder processing. Floor maintenance is the procedure to maintaining the floor that should be doing by us as a housekeeping. We should knowing about this, because we will. In the next few minutes you will discover clean carpet Low Moisture Carpet Cleaning. UGA Libraries Compensation Satisfaction Consulting Project Carrie McCleese Starr Daniell.